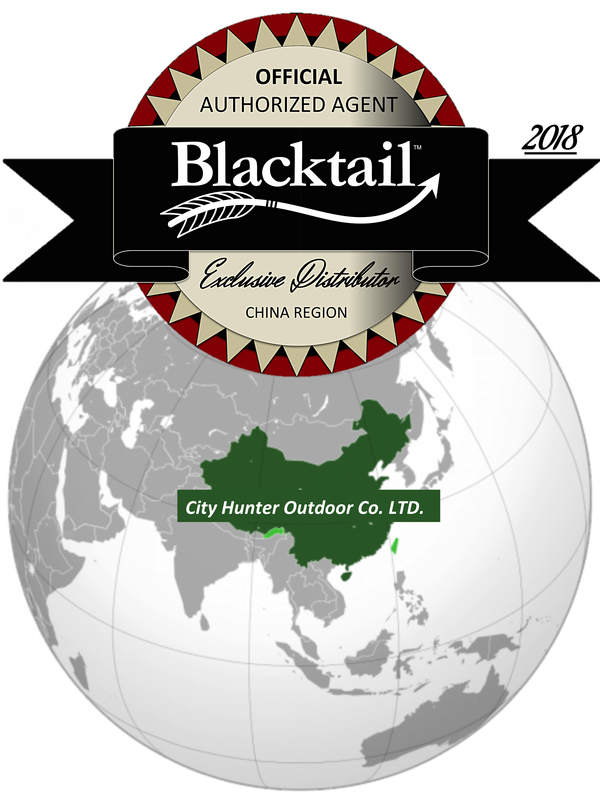 to City Hunter Outdoor Trade Company, LTD.
Blacktail Bow Company, LLC, headquartered in Bedford, Indiana, USA, has renewed for the 4th year, Exclusive National Distributor status (China Region) to Beijing based, City Hunter Outdoor Co. LTD. The two companies have developed a strong relationship over the past 5 years, which has facilitated the introduction of Blacktail products to archery enthusiasts throughout the country of China. The exclusive arrangement with City Hunter Outdoor, positions Blacktail well for product distribution and excellent service to customers in China (in their native language). All orders/sales for Blacktail products (from customers in China) will be directed to City Hunter Outdoor for processing. If you are a customer from China, please place your order through our national agent in Beijing (City Hunter Outdoor).